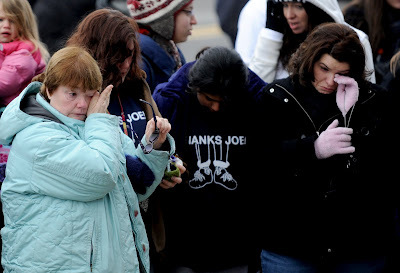 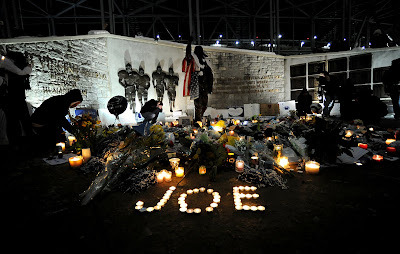 I received the call that Joe had passed in the morning hours and immediately headed to the statue. 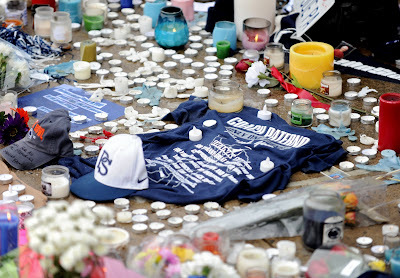 Some candles from Saturday night were still burning, and people were leaving more and more candles, flowers and mementos. The national media had swarmed to town also and Porter Road was lined with more news trucks and live broadcasts. 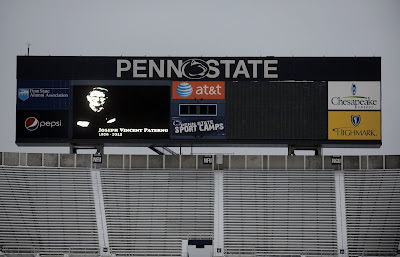 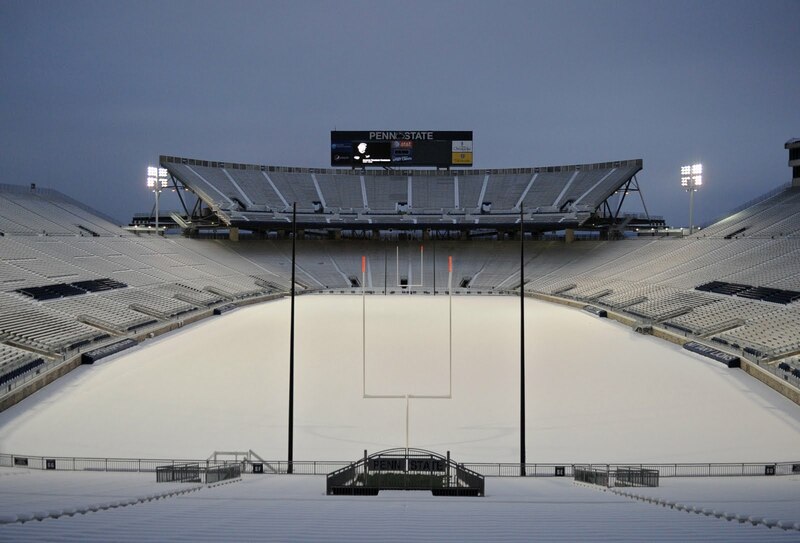 Mid afternoon passerby's could see the score board in Beaver Stadium glowing with a photo of Joe as the stadium sat peacefully covered in snow. 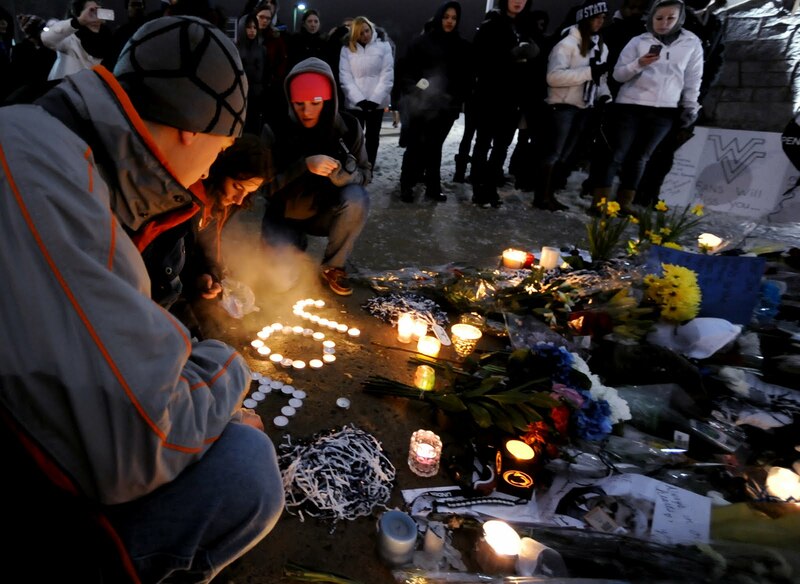 Students and fans organized a candle light vigil Sunday night that was spread through social media. 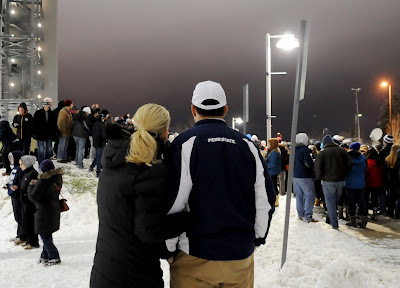 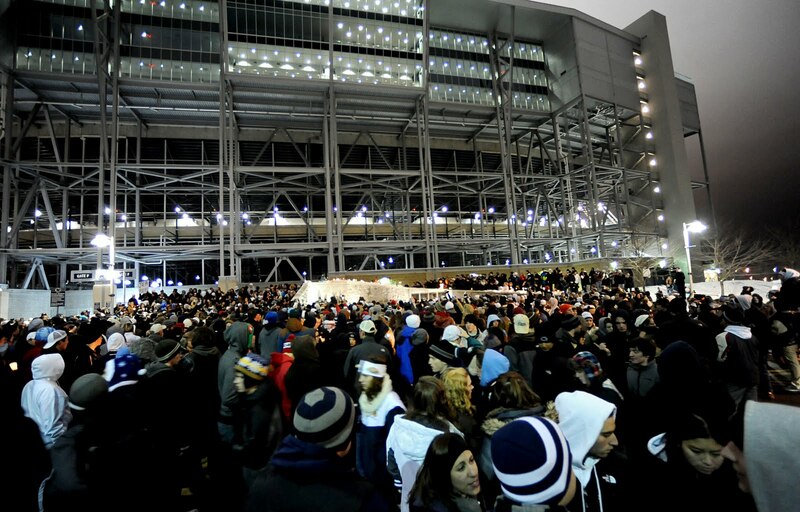 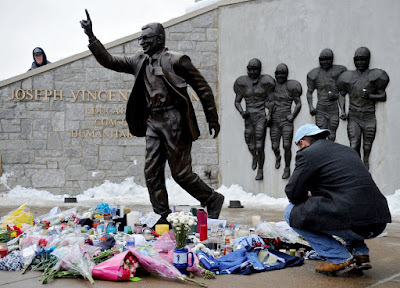 Thousands stood in the cold and snow to honor the great coach, as the blue band and several players spoke. The images from the front of the crowd by my fellow colleagues were very powerful. I wandered through the crowd and watched the glow from the stadium illuminate the sky. 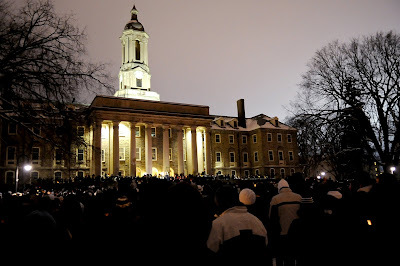 From Old Main the crowd walked through campus to the statue where many left their candles. 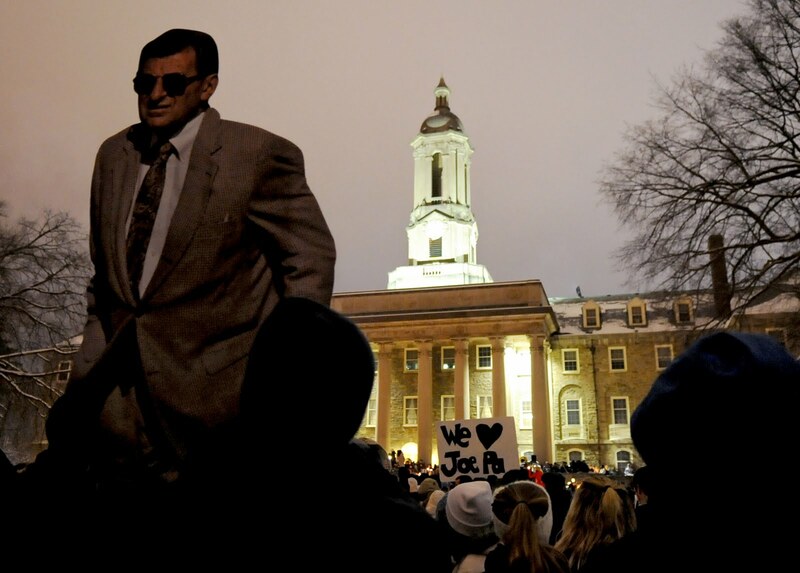 As I was standing chatting with another photographer a familiar face passed by, Jay Paterno. I followed he and his wife as they quietly walked around the crowd, taking in the moment. I knew they were going through a hard time, so I stayed out of their way and tried to be as respectful as possible. 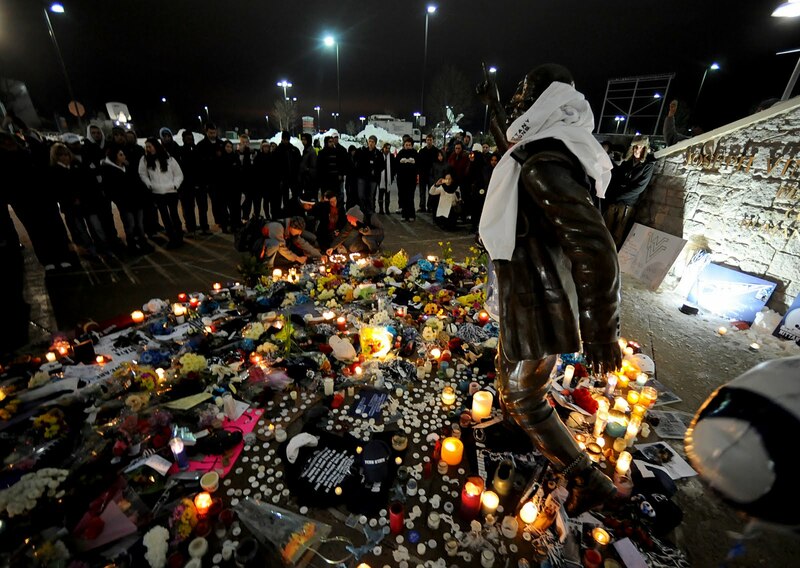 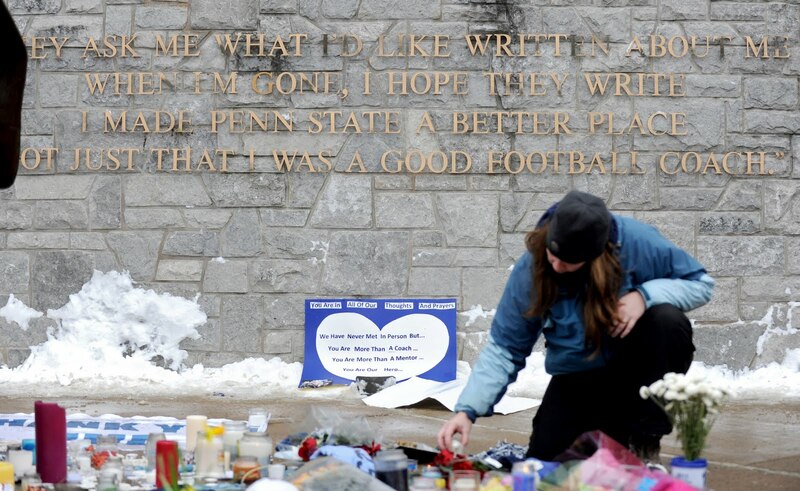 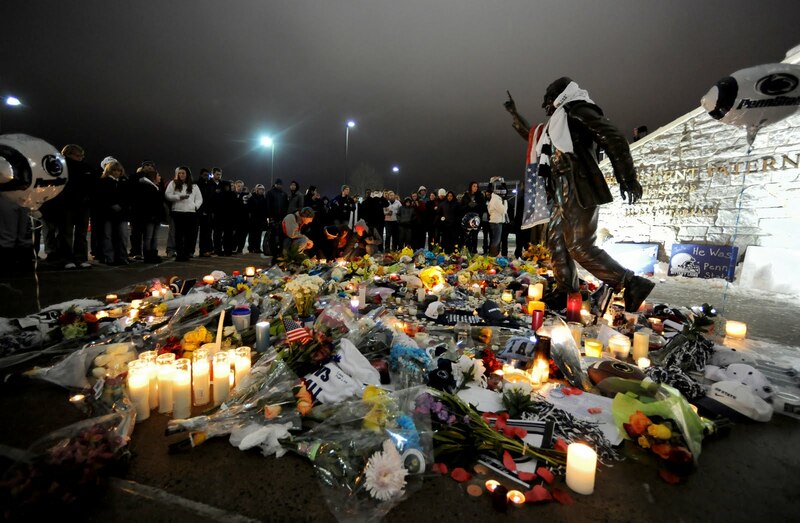 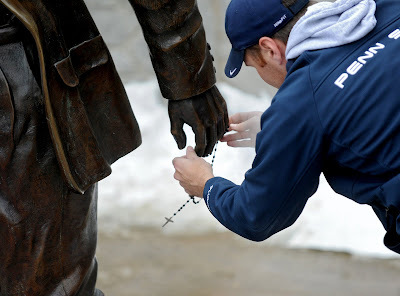 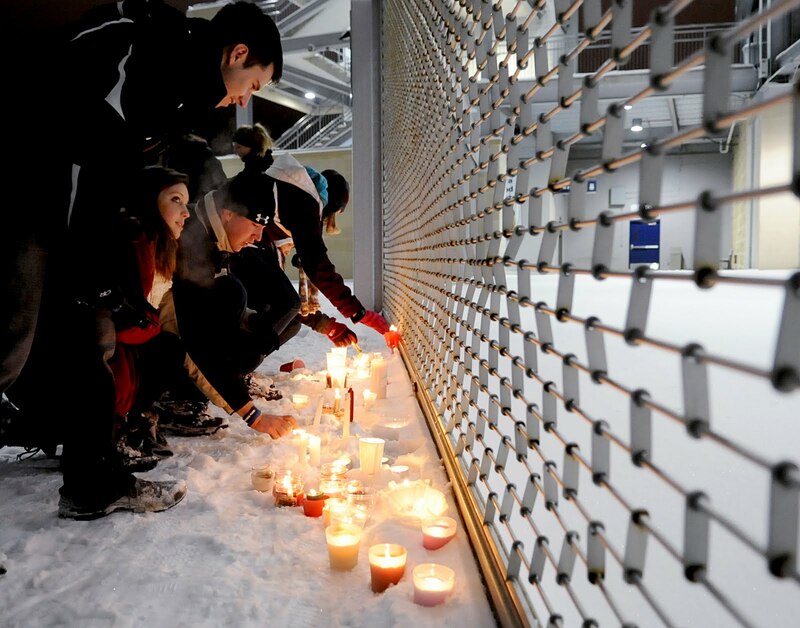 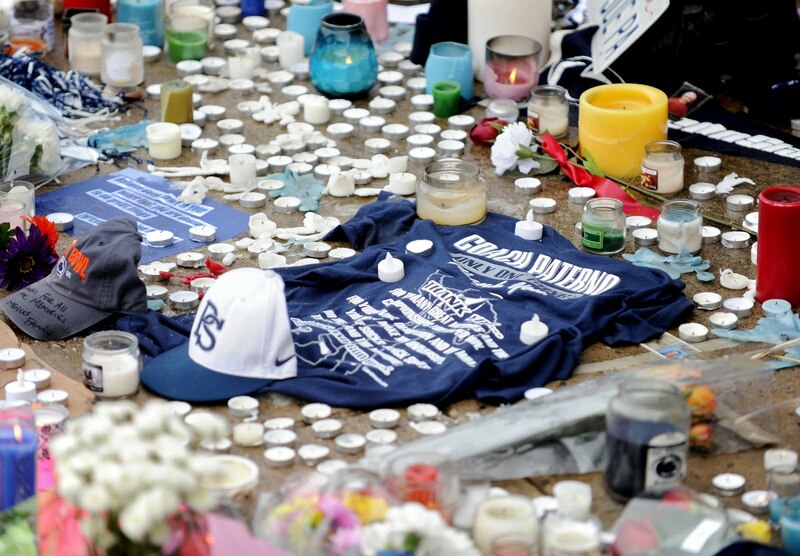 Some students decided that crowd around the statue was too large, and started to leave candles at Beaver Stadium's Gate A, the home of Paternoville.